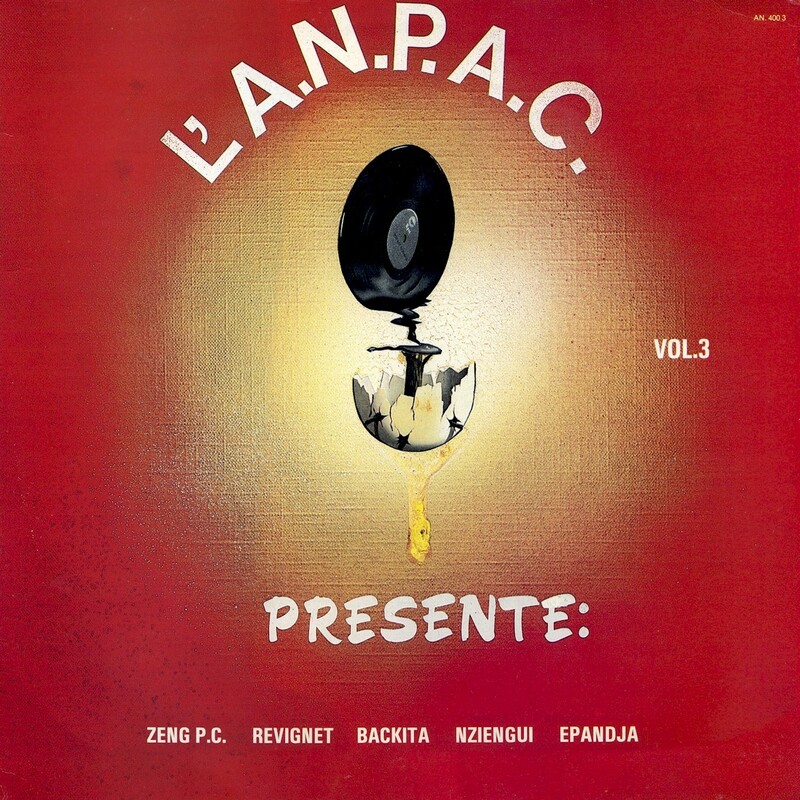 Some sweet sounds conclude our presentation of the three-volume series l'ANPAC Presente with Volume 3 (AN 400 3, 1984). Like musicians on Volumes One and Two, Pierre Claver Zeng Ebome, who performs "Eyala," has been active in Gabonese politics for many years, holding various posts in the government of President Omar Bongo as well as being elected to Parliament. Norbert Epandja, who gives us the lovely "N'oublie Jamais," has been involved in politics of a different sort, as president of the Musicians' Union of Gabon. I can tell you nothing about the other talented musicians here. Enjoy l'ANPAC Presente Vol. 3! Download l'ANPAC Presente Vol. 3 as a zipped file here.